Are you thinking about buying or selling a residential property? If you have ever wondered why the purchase or sale of a house in Ireland appears to take ‘so long’, this piece will set out the steps in a residential conveyance and give you a good overview for a better understanding. Conveyancing is the term used to describe property transactions, and the transfer of legal ownership of immovable property. A contract for the sale of land, in order to be enforceable, must be in writing or a memorandum or note of the agreement must exist. Particulars, ie, the main terms of the agreement. This requirement of a memorandum or note stems from the Statute of Frauds (Ireland) Act, 1695 which has been repealed by section 51, Land And Conveyancing Law Reform Act 2009. 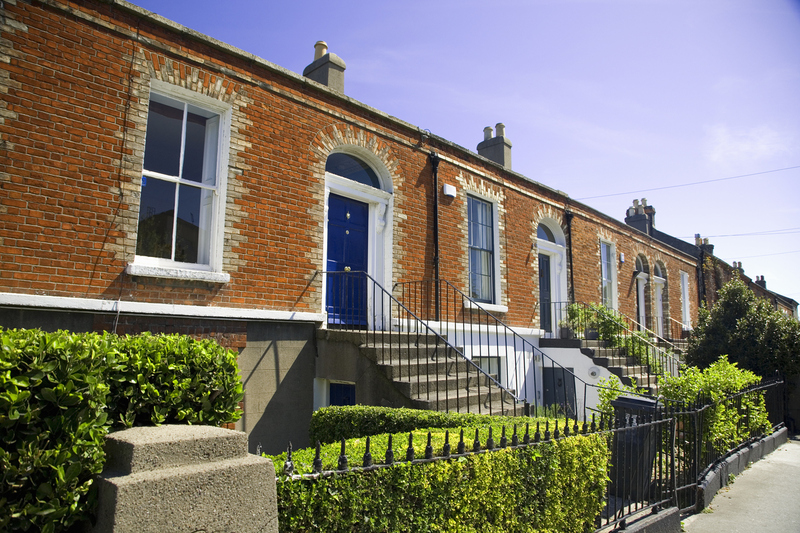 The steps in a conveyance in Ireland are designed to ensure that a purchaser is not obliged to go to the cost of carrying out a full investigation of the title being offered before the vendor is legally obliged to sell. It is only when contracts are exchanged and binding on both parties that full examination of the title is carried out by way of the purchaser’s solicitor raising “Objections and Requisitions on Title”. Objections and Requisitions on title are queries and requests raised in respect of the vendor’s title and other matters relevant to the property being sold. Registry of Deeds properties tend to be in urban areas, for example Dublin, and the important thing to understand about these properties is that it deals with registration of documents, not registration of title. The Land Registry, controlled by the Property Registration Authority, deals with registration of title and there are many counties which are compulsorily registerable eg Kildare, Meath etc. part 3 lists the burdens on the title eg mortgages/charges. Ownership of land registry property is transferred by a deed of transfer but title only passes when the transfer has been registered in Land Registry. Please note that the list below is not exhaustive and ‘issues’ can arise at any time which may hold up the sale/purchase. Check the seller’s title to the property. This will involve taking up the title deeds, either from a lending institution or the vendor. Check what sort of property is being sold eg residential home, commercial premises, licensed premises, etc. 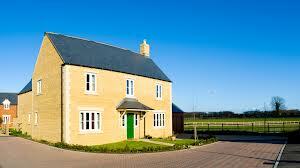 Ensure stamp duty is paid and have the transfer registered either in Land Registry or Registry of Deeds. ¹The doctrine of “caveat emptor” (“buyer beware”) applies to the physical description of the property. The purchaser must satisfy him/herself as to the boundaries and condition of the property. This is why a purchaser must have a full structural survey carried out prior to signing the contract. The vendor is not under a duty to disclose any physical defects in the property. check the property in the contract is properly and adequately identified in the title documents. It used to be the case that a solicitor in a small number of circumstances could act for both parties to a conveyance. However new regulations contained in a 2012 Statutory Instrument, S.I. No. 375/2012 – Solicitors (Professional Practice, Conduct and Discipline – Conveyancing Conflict of Interest) Regulation 2012, has restricted this even more..
3.4.2 following receipt of the notification at Clause 3.4.1, both Vendor and Purchaser have consented in writing to the Solicitors’ firm representing both of them on the basis specified in such notification. If you are looking at houses for sale in Ireland there are a number of priority tasks that you will need to take care of to ensure a sound investment. 2. You have instructed a solicitor to act on your behalf. At Terry Gorry & Co. Solicitors we can ensure that you are professionally represented at each stage of the purchasing process from drawing down finance to completion of your house purchase. If this is not done then when you sign the contracts it will be deemed in law that you were aware of any problems before signing and even if these problems become apparent later on. You engineer’s survey should also be helpful in relation to any extensions, alterations or conversions that may have been carried out on the property which may have planning implications. If this is the case then proper planning documentation will need to be supplied by the vendor’s solicitor with the title deeds. You might also check with the local Gardai who may let you know about any social/crime problems in the area which you might not be aware of. Generally you will need to pay 10% of the purchase price as a deposit on signing the contract to buy. It is advisable at this stage to insure the property as once you have signed the contract you are committed to completing and should the house go on fire in the meantime you could face a severe financial loss. There will be a closing date for completion in the contract and once you sign you are committed to completing on time which can leave you open to a liability for daily interest on the full purchase price. Clarifying and advising us of the situation with regard to the contents is also important as is carrying out a final inspection before completion to ensure that the house is left in an agreed condition and the garden is not full of rubbish which should have been disposed of by the vendors. When selling a residential property your solicitor will need certain information from you to ensure a smooth, efficient, timely transaction. • Which are shared and which are in common with other properties? • Are there any special agreements re boundaries? 6. Tenancies/vacant possession to be handed over? • Capital acquistions tax certificate of discharge? • Probate tax certificate of discharge? • Capital gains tax clearance certificate? • All relevant State family law certificates? • Is the property anybody else’s family home? 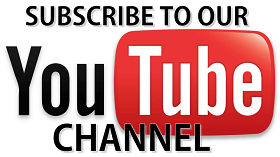 • Any other information re family law proceedings/separation etc. 14. Planning/Building bye-laws/building regulations/fire certificate/fire services act/environmental issues? Increase to full replacement value if necessary. 4. Purchase of Part of Folio? Change of use/intensification of use? 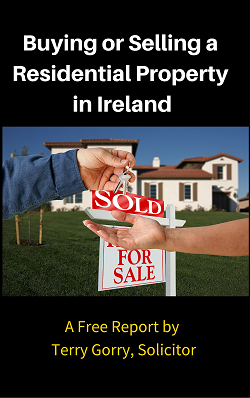 When buying a property in Ireland, it is essential that you obtain what is known as “good marketable title”. As the old saying goes in relation to property: “the day you buy is the day you sell”. Many lending institutions will not advance monies where the title being offered as security is not going to be good marketable title and where the solicitor is going to have to “qualify title”. “Title” when speaking about property is evidence of ownership of a particular person of an interest or estate in property. “Good title” is where a vendor of property can prove that they are the legal owner of a certain estate or interest in a property. Note that 2 or more people could have an estate/interest in a property, for example, a freehold owner and a leasehold owner in respect of the same property. “Good marketable title” is not statutorily defined. However it means the standard of title which is given and accepted by conveyancing solicitors following good conveyancing practice and rules set out by the Law Society of Ireland. If a Land Registry leasehold title, it must be either “absolute” or “good” leasehold. The “certificate of title” system only applies to residential property conveyancing. It allows the lender to permit the solicitor for the purchaser to investigate title and gives responsibility to the solicitor for having the mortgage registered in the bank’s favour and secured on the property. The Certificate of Title System obliges the purchaser’s solicitor to give an undertaking and a certificate to the lender in a format agreed between the Law Society and the lenders. The undertaking and certificate of title are provided by the lender in his/her capacity as the borrower’s solicitor; he/she does not act for the lender. In practice, once the loan is approved for the purchaser, the documentation containing the solicitor’s undertaking and certificate of title together with the loan offer and mortgage deed are sent to the purchaser’s solicitor. All documentation including certificate of title is furnished to the lender. In some circumstances, for example where the solicitor is not able to obtain “good marketable title” perhaps due to a planning difficulty with the property, the solicitor will have to qualify his/her undertaking. If this is necessary, it will have to be cleared in advance with the lender as the bank may not agree to it and may withdraw the loan offer. It must be of a certain age (at least 20 years old). However, much of the above does not apply to a Land Registry title as title registered in Land Registry is guaranteed by the State and the Land Registry folio is evidence of ownership of the land by the registered owner. You are entitled to rely on the Register of properties at the Land Registry without looking behind it and the State guarantee that the register is correct. However, where a title is qualified, it may merit further investigation. A tenant for life would be a limited owner. Qualified-this is the same as an Absolute title save for the fact that it is qualified in some way, and will require investigation when purchasing. Ensure the property contracted for is adequately identified in the title deeds. As you will see from the above, purchasing a house does involve a lot of factors that you may overlook without sound legal and professional advice. The price of such advice may appear to be costly at first glance but when you consider the consequences of a purchase or sale going wrong and the steps needed to prevent this, the cost over the lifetime of your investment, and home, is tiny. Mortgages and charges, and the different types of mortgages and charges can be confusing for many small business owners and home-owners. The difference in reality is that a registered property is ‘charged’ ie a charge is registered on the property at Land Registry on the property but no formal transfer of ownership takes place. An unregistered property is actually conveyed, assigned or leased by the borrower to the lending institution subject to the borrower’s right to redeem(pay off) the loan in the property. But title formally passes to the lending institution under the mortgage deed. This document states that the lender has made a loan available to the borrower and the borrower guarantees to repay the loan by securing the loan against the property. * A covenant to insure the property and the interest of the lender noted on the policy. It is important to bear in mind that these are standard covenants in mortgages with the main banks; it is crucial to read or have a legal professional read the additional covenants if dealing with a sub-prime lender or a smaller financial institution. It is important to note that the mortgage document will often refer back to the letter of loan offer which may contain additional covenants and conditions. It may also contain additional circumstances which covers the event of default in mortgage payments. This mortgage is for a fixed sum; it is less used in practice now as most banks will issue ‘all sums due’ mortgages. There is generally an all sums due clause in most mortgages now and this has a significant impact on a person’s finances if they do not know what it means. It means essentially that the borrower is pledging their property not just for the property in question but for ALL indebtedness to the bank, now or in the future. (credit card, car loan etc.) This is obviously of huge importance as many people will spread their financial exposure between various banks in an attempt to create a wall between different loans but this clause means the bank can use the house as security for all borrowing. Other types of mortgage include annuity and endowment mortgages, although the latter have become less frequent. When selling your house your solicitor will take up your title deeds from the lending institution on accountable trust receipt (ATR). This means that your solicitor will give an undertaking to hold your deeds in trust for the bank and then discharge your mortgage once the sale has closed-this is called vacating the mortgage. It is vital therefore that your solicitor checks with the bank that the sale proceeds will be sufficient to discharge all indebtedness secured against the property, not just the home loan. Your solicitor, when drafting the contract for sale, will insert a special condition that the property is subject to a charge (mortgage) and this will be discharged on closing. A mortgagee in possession has the power of sale of the property, provided certain circumstances have been met, pursuant to section 100 Land and Conveyancing Law Reform Act, 2009. When you are buying a property your solicitor will probably insert a special condition making the purchase subject to loan approval. The drafting of this clause is important as it needs to cover circumstances where you have a loan offer but are unable to comply with some of the conditions of the loan offer. It should also provide for either party rescinding the contract should loan approval not be forthcoming. In residential transactions, your solicitor is required to give an undertaking, together with proof of professional indemnity insurance, and certificate of title to the lender in an agreed format with the Law Society of Ireland. This undertaking and certificate of title documentation is sent to your solicitor once your mortgage is approved. that the borrower has executed all the necessary loan documentation, mortgage deed etc. 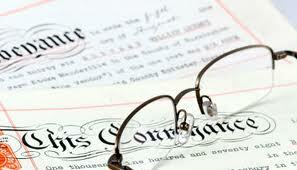 to lodge the title deeds and the solicitor’s Certificate of Title with the lender. Circumstances may arise, for example if there is an unauthorised development on the property, where your solicitor will have to qualify the undertaking. Any such qualifications must be cleared in advance with the lender. Where a borrower falls behind in his/her payments there are a number of options open to the lender. These include suing the borrower for the amount outstanding but this is unsatisfactory as the amount outstanding is likely to increase. The lender is going to want to exercise its power against the security for the loan..
You may also be interested in the new personal insolvency options. This procedure is rare in Ireland and involves the bank taking court proceedings to have the borrower’s interest wiped out and the bank becoming owner of the property. This is more common in Ireland and the bank has the power to sell the property without going to court, in accordance with the terms of the mortgage. However they will be unable to sell without vacant possession so they will go to court to obtain an order for possession. If the property is commercial the bank will appoint a receiver on foot of their mortgage and his duty will be to receive any rents due and pay them towards the mortgage and to manage the property with a view to an ultimate sale. If you are buying or selling a house, we would be happy to discuss with you and provide you with a competitive no obligation quotation. Simply email terry@businessandlegal.ie or call 046/95 49 614.